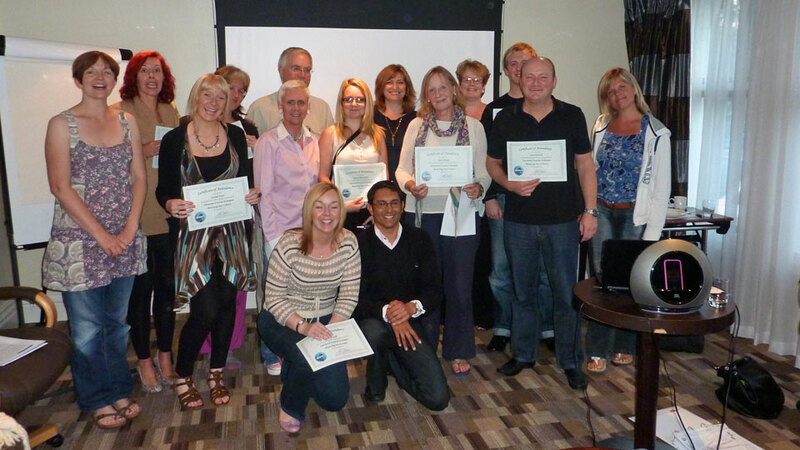 EFT Practitioner Mentoring - META-Health Academy. 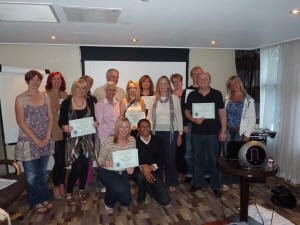 EFT Practitioner Mentoring - META-Health Academy. Boost your EFT confidence, learn new techniques, and develop your awareness and skills in EFT and energy psychology: Join our next EFT Supervision Day. This is an opportunity for you to check in with and receive supervision from Robert Waghmare, an experienced EFT Master Trainer. Robert has formulated and continue to evolve a unique synthesis of philosophies, methodologies and techniques from EFT, Energy Psychology, META-Health, Coaching, Systems research methods, cybernetics, psychotherapy, systemic therapy, NLP, META-Kinetics Advanced Kinesiology and the Human Design System. He has developed a unique and unparalleled approach to coaching and therapy which can both broaden and deepen your understanding and application of EFT. 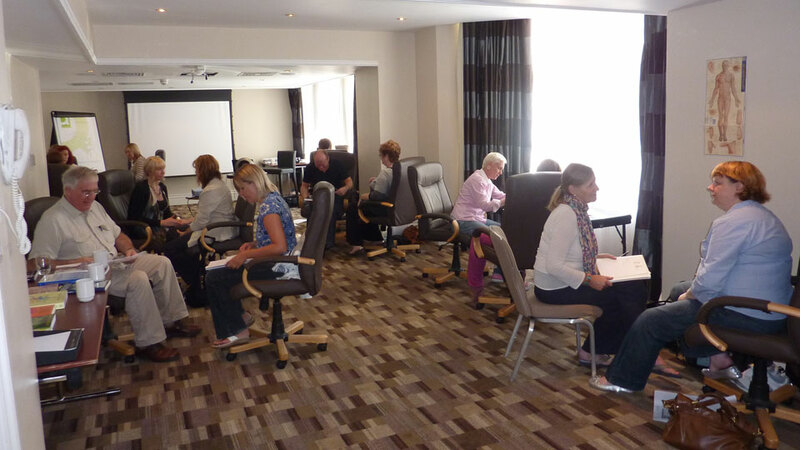 This Group Supervision Day offers you an enjoyable and informative way to enhance your knowledge and understanding, meet and connect with fellow practitioners, practice your skills and receive guidance and support. 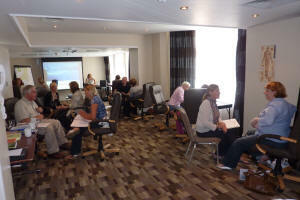 Why join our EFT Group Supervision Day? This EFT Supervision day will give you the opportunity to hone your EFT skills, develop new insights and awareness. Attending two Supervision Days per year is the easiest and most enjoyable way of meeting your AAMET requirements for Continuing Professional Development (12 hours' group mentoring per year) as an EFT Practitioner or Advanced Practitioner. Our EFT Supervision Day is open to those who have done at least Level 2 Training and are currently working towards qualification as well as qualified EFT Level 2 and 3 Practitioners. You will gain the opportunity to ask your most complex questions about energy psychology or mind-body health, and begin a troubleshooting process to overcome any difficulties or barriers you may be experiencing with clients, your own practice, or within yourself. 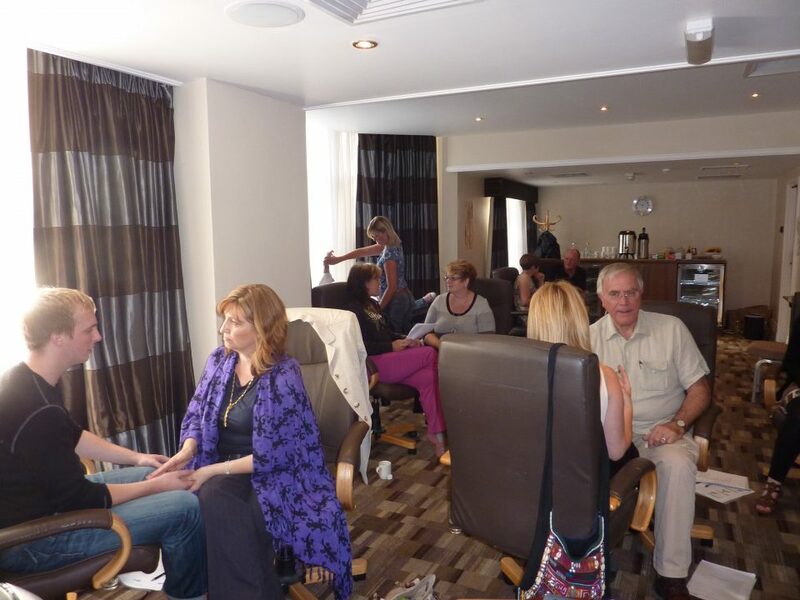 Each Supervision Day provides opportunities for meeting and sharing with fellow Practitioners, learning new and advanced skills, increasing your knowledge, practising your EFT and receiving EFT from qualified Practitioners. 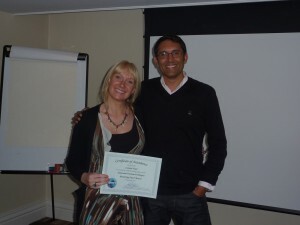 Joanne Ross co-hosts and supports Robert in delivering the EFT Mentoring Days. Joanne is an AAMET EFT Advanced Practitioner and META-Health Master Trainer and Coach. She synthesises EFT and META-Health with META-Kinetics, Coaching, NLP and the Human Design System. Joanne's background in teaching and coaching helps with breaking down of some of the more complex aspects into bitesize chunks and helping you to get the most out of the weekend. 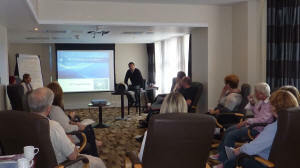 What will we do on the EFT Supervision Day? 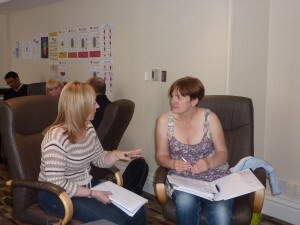 The content of each of our EFT Supervision Days is based on participants' needs, desires and learning requests. What would help you to develop your EFT practice most? Let us know what you really want to learn and have it included in future Supervision Day programmes! Troubleshooting, discussion and lots of practice - plus your chance to be a client and receive EFT yourself! You can book for one day's EFT Supervision, or, where offered, book two or three days with our META-Health and/or META-Kinetics Mentoring for a whole Mentoring and Supervision Weekend. The regular rates are: £95 for one day and £175 for two days. We offer special rates for those who have previously studied with us (those who have completed our EFT Level 1 and 2 or Level 3 courses, META-Health Foundation Weekend, META-Health Professional Training or META-Kinetics training). Previous student rates: £75 for one day, £140 for two days or £195 for all three days. In line with most professional bodies associated with complementary therapies, AAMET has set down mandatory requirements for Continuing Personal and Professional Development (CPD) and Mentoring. This is widely considered to be in the best interests of the client and for the professional integrity and standing of our Members of AAMET. Any member who has difficulty gaining CPD or mentoring hours should discuss first with their Trainer. IMPORTANT: Registered Practitioners (which includes Trainers and Trainers of the Trainers) who wish to be registered on AAMET will have to commit to and follow AAMET Code of Conduct and Ethics in addition to the AAMET Guidelines for CPD and Mentoring. If, for whatever reason you are no longer able or willing to commit to or follow the AAMET Code of Conduct and Guidelines, you are honour bound to inform AAMET immediately so you can be removed from the Practitioner register until such time as you are able to make the necessary commitment. You may request to be moved to the Student Members list until you are in a position to comply with AAMET Code of Conduct and Ethics and the AAMET Guidelines for CPD and Mentoring, at which time you may reapply to be registered as a Practitioner member. CPD is not intended as extra work or expense, but simply the normal effort made by conscientious Practitioners to develop personally and professionally, and keep up to date with the latest developments relating to EFT. In addition, Practitioners are strongly encouraged to work on clearing their own issues, which may otherwise interfere with their efficacy as a Practitioner, and to repeat trainings with other trainers, particularly at Level 3, to develop a wide perspective. Under these Guidelines, all AAMET Practitioners (which includes Levels 2, 3 and Master, as well as Trainers and Trainers of Trainers) are required to commit to and acquire at least 30 hours of CPD per year in order to maintain their listing on the AAMET Practitioner/Trainer register. The hours should ideally be balanced across several CPD categories, and include a reasonable proportion of relevant professional training (either as attendee or as the Trainer delivering the training). For the purposes of these Guidelines, Mentoring means discussing cases that you have had difficulty with or may affect you and practicing your techniques with, or guided by, someone who is more proficient as a Practitioner or Trainer. Practitioners (including Trainers and Trainers of Trainers) who are seeing clients one-to-one or in groups (or training groups) are required to have an absolute minimum of at least six hours one-to-one Mentoring or at least twelve hours Mentoring with a group lead by a proficient and more experienced Practitioner or Trainer, or a combination of the two. In the case of Practitioners who are also Trainers, it is likely to be even more important that at least some of the Mentoring includes a fellow Trainer, or preferably a Trainer of Trainers, however it is up to the individual Trainer (perhaps taking advice from her/his Trainer of Trainers) to determine what may be best for her/him. Practitioners who see a number of clients on a regular basis, or who regularly train others, should engage in substantially more hours of Mentoring than the minimum levels listed above, depending on workload. All CPD and Mentoring hours gained must be recorded, together with attendance certificates and/or receipts as appropriate, and retained as evidence for at least 5 years in case this may be asked for by AAMET.